If you’ve been watching programs such as Humans on UK’s Channel 4 or Westworld on HBO, you’ll know exactly what I’m talking about when it comes to the ethics of Artificial Intelligence (A.I). Both series touch on the morals and perhaps legal aspects of creating, owning, using, and interacting with humanoid robots. And both series also delve into the theory that robots can ultimately develop feelings, emotions, and conscious thoughts. It may seem like a far-fetched theory at this early stage, something for future generations, perhaps, but the truth of the matter is, these ideas and this technology is far beyond fictional. There’s an exciting yet chilling reality to what we see on TV and the recent progress in A.I makes this topic more pressing than ever, with some robotic systems already presenting burning questions in the tech industry. What ethical principles should robotics engineers follow? Should there be restrictions on the ethical use of A.I? Can we and should we build moral principles into A.I systems? The questions are endless and many remain unanswered at this point. When we look at this way, it’s not a future dilemma at all. But a subject of urgency, one which we can no longer ignore. One of the most subjects I find most fascinating is the question of robots and legal rights. Should androids have entitlement to basic human rights? When made to look like us, talk like us, and act like us, are they not just an extension of us? Or should we take the risk averse approach and suppress rights to protect ourselves? Ryan Calo, a legal expert from the University of Washington’s School of Law, believes that we need to act now before it’s too late. He believes that laws need to be established without delay in order to prevent killer machines and to inhibit robots from demanding the right to vote. And yes, essentially, taking over the world. Calo’s paper wasn’t the first to raise issues about robots and their rights. The field of ‘A.I ethics’ has existed for many years, but in my opinion, it hasn’t existed for long enough. With the lightening-fast development of robotics engineering and A.I systems, the legal world is playing catch-up and we’re always going to be at least two steps behind. Inverse Reinforcement Learning (IRL) is already in place, which allows sensor-based systems to observe humans, identify behaviours, and be reverse coded at operating system level. This develops humanoid systems that can act like a human does, based on a series of codes and conditions. So what exactly are we doing with IRL? At a basic level, we’re turning human behavioural patterns into a programmable algorithm. The algorithm of life. The algorithm of life in robot form. Stuart Russell, Professor of Computer Science at the University of California, is currently using IRL methods and in one of his speeches at Cambridge University, he mentioned how a robot might observe the human process of making coffee every morning and by detecting the human’s improved mood, the robot would be able to code into his algorithm the value of coffee at a certain time of day. The Zenbo robot, amongst other models, are examples of the earliest A.I systems that have this unique programming. So the journey to exacting mirror models of ourselves, as seen on Humans and Westworld, has already begun. 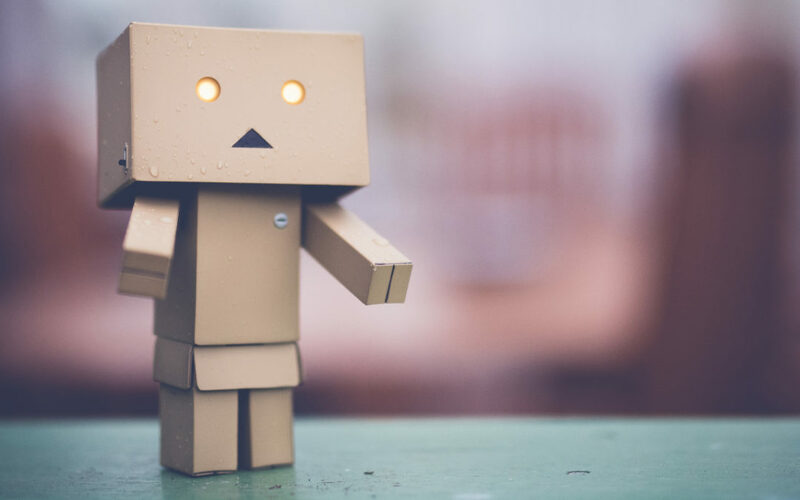 In addition to robots’ rights as ‘humans’, another key topic of interest – and one that has been the subject of many thought leadership articles and blog posts, from human resources experts to tech specialists – is the need to address is robots’ rights as workers. The draft EU plan already looks to classify robot workers as electronic persons, making owners liable to paying social tax. In addition, robots could also be given the rights to trade money, claim copyright on creative work and force their owners to pay into a pension in case they become damaged. Not only does this open a whole new set of questions, but there is fear that the rise of the robots could result in human unemployment. But, isn’t that the point of human existence? Whatever the future holds, we are living in a generation where technology is changing fast. It’s our responsibility to consider all the legal, moral and ethical aspects as humanoid robotics begin to become a part of everyday life.